Portable lumbar cushion which provides an adjustable level of support to your lower back. 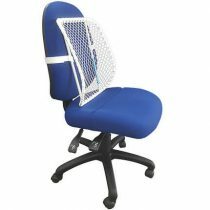 The Lumbarmate is a fantastic product, perfect for anyone who might be having back problems and wants or requires support from a back rest. The adjustable system used in the Lumbarmate is similar to that used in a car or office chair, it varies the support it provides by a simple twist of the handle. The secret is the dynamic lumbar roll that is inside the cushion itself. This dynamic lumbar roll fills the space that is between your lower back and the seat, which gives complete control over the support it provides. It is this that sets the Lumbarmate apart from other back supports on the market that are either not adjustable at all or they rely on an inflatable bladder to control the support. 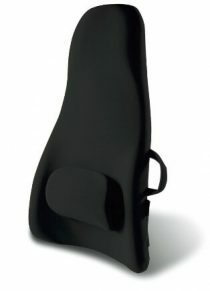 The Lumbarmate is great for use in the home, work or in the car as it is so easy to set up. To move the Lumbarmate all you need to do is loosen the strap that holds it to the chair and undo the snap buckle. It is the ideal back support as it is easy to clean and can effortlessly be taken with you wherever you go.